Most expensive wines in the world (GB) Your browser does not support any audio element. A complete and up-to-date ranking for such wines is difficult as the market is constantly on the move. Very expensive wines are almost without exception based on extremely low yield and with the most elaborate methods often in "manual work" often in only small numbers with few thousand bottles produced. For these also the term becomes Garage wine used. For a single 0.75-liter bottle of such top-class plants you have to at least 100 to 200, in some cases up to 500 euros and older and / or outstanding vintages pay up to five and not so rare ten times. In addition to outstanding quality are for a high value of a wine bottle but also historical backgrounds or famous previous owners of importance. This means that there are certainly collectors who do not buy such wines for the purpose of enjoyment. For wines before the Second World War, especially of the 19th century and older, special laws apply, because here also the historical value counts. They are not always purchased for enjoyment and can be quite inedible. Such special vintages are being auctioned at true fantasy prices. Naturally be at Auctions the highest prices achieved. For many years he was record holder on Château Lafite-Rothschild 1787, the 1985 auction house Christie's was sold for $ 156,450. 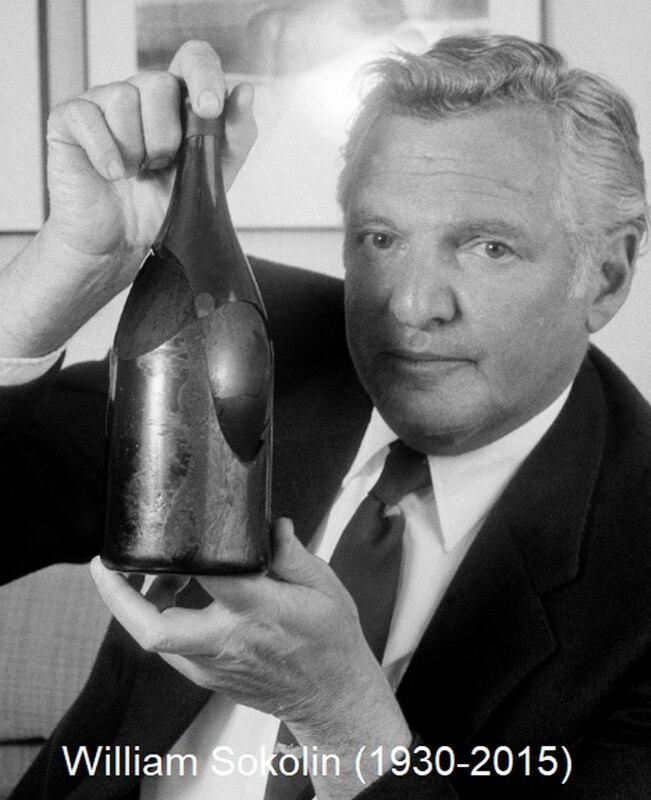 The from the estate of the third US President Thomas Jefferson (1743-1826) originating bottle went to the US publisher Malcolm Forbes (1919-1990). It came from a mysterious find, seller was the well-known wine collectors Hardy Rodenstock (1941-2018). As a result, four wines (Château Lafite-Rothschild and Château Mouton-Rothschild for $ 500,000) led to several lawsuits and lawsuits. Finally, the longtime record Broken. The auction house Sotheby's Hong Kong auctioned three bottles of Château Lafite-Rothschild 1869 in October 2010 by 1.8 million Hong Kong dollars each. That was $ 232,692 at the time. The buyer was allegedly a telephone company from Asia, the name was not announced. The three bottles came directly from the cellar of the winery in Pauillac. The most expensive white wine was in 2011 a Château d'Yquem of the legendary vintage 1811 of the Antique Wine Company sold in London for £ 75,000 (€ 85,000). Buyer was living in Bali sommelier and wine collector Christian Vanneque (* 1950) who exhibited the bottle for the opening of his new restaurant "SIP Sunset Grill". In August 2012, a "Cabernet Sauvignon Kalimna Block 42 Ampoule 2004" of the Australian winery changed Penfolds for € 160,000 the owner. The wine is bottled in a special container. This consists of a hand-blown, cylindrical glass vial, which is housed in a conical glass sculpture and this in turn in a container made of fine jarrah wood. It comes from the vineyard "Kalimna Block 42" with already in 1885 planted extremely old vines. Of this exceptional specimen only 12 units were produced. The buyer was a regular guest of the Tyrolean five-star hotel "Jagdhof" in Neustift (Stubaital). Matthias Tanzer, the chief sommelier of the house, arranged the sale. The most expensive champagne comes from a ship wreck discovered in 2010 (see details under the keywords Veuve Clicquot-Ponsardin and also Heidsieck monopolies ). The in 2011 at the VDP auction in the monastery Eberbach sold Scharzhofberger Trockenbeerenauslese vintage 1999 from the winery Egon Müller-Scharzhof (Mosel region) holds the German record, The most expensive wine, however, does not appear in the various record lists mostly because it was not a "real" sale, but a charity event in which he was sold. This is the legendary with 99 Parker points rated Screaming Eagle Born in 1992 in the Napa Valley. For a 6-liter bottle was paid half a million US dollars. One of the most expensive wine bottles was broken in a never quite clear, somewhat obscure sales attempt. US wine merchant William Sokolin (1930-2015) hosted an exquisite dinner at New York's Four Seasons restaurant in 1989, with a Château Margaux the year 1787 from the estate of the 3rd US President Thomas Jefferson (1743-1826) with his initials "Th. J. "was to be sold on behalf of the English owner for the price of $ 500,000. Around 180 people had been invited. A waiter pushed the bottle off the table, which shattered as shown in the picture. After a second version Sokolin ran with the bottle in the hand into the tray of a waiter. The bottle had no loss because allegedly the Château Margaux had recorked the bottle a year earlier and thereby refilled the shortfall with Margaux born in 1959. An insurance company had to shell out $ 225,000, which the unknown owner and Sokolin shared. Whether at the exorbitant high price actually a buyer would have been, is at least questionable, at least there was no chance at the time of the accident. If so, this would most likely have become by far the most expensive wine bottle. This page was last modified at 18 February 2019 at 10:30.